Get in there early | Does my bum look 40 in this? I have lots of Mother's Day ideas coming up but this is really quickie blog in case you're looking to drop some major hints to loved ones or order for your own mum (dare I say mother in law?). The alternative is to just treat yo'self (I'm not being a knob - if you watch Parks & Recreation you will know exactly what I mean. And if you don't, can I recommend it - Amazon Prime thingy - as it's absolutely hilarious. Am I the only one married to Ron Swanson?). But I digress and I'm going to get straight on with the good stuff. Jewellery. 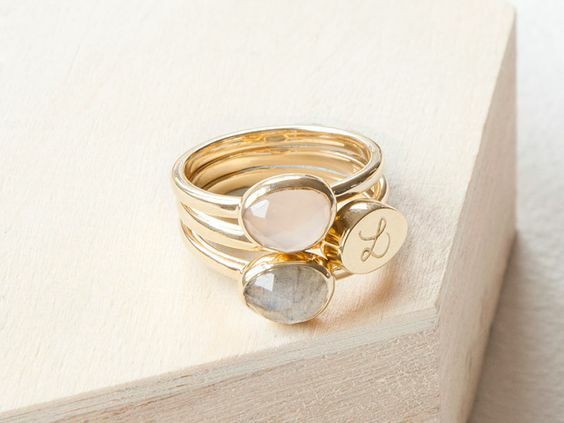 We're not talking full on bling here, we're talking every day, wearable, lovely additions to your outfit. The eagle eyed amongst you will notice that you I wear these every day. Without fail. The earrings are a new addition, as is the Personalised Hug Necklace (I have Carpe Diem on mine), ditto the Merci Maman bracelets. But my Chambers & Beau necklaces and my beloved Bella Jane bracelets are my daily jewellery crack. Can't recommend them highly enough. Starting with Chambers & Beau. Go and have a peruse - your only issue will be what to choose. Can I recommend having a look through the Instagram pics and gallery as there is great inspiration on there. These in the Summer with a plain tee are all that you need in a Summer outfit. And if you want something slightly alternative, email Amy as she is magic. Plus 20% off a £30 spend with the code MAMA20. But first up - earrings. Oh hello. These are large enough to be statement but small enough not to be too heavy or cumbersome. Choose the charms to suit your mood. The ideal way of mixing your metals too. 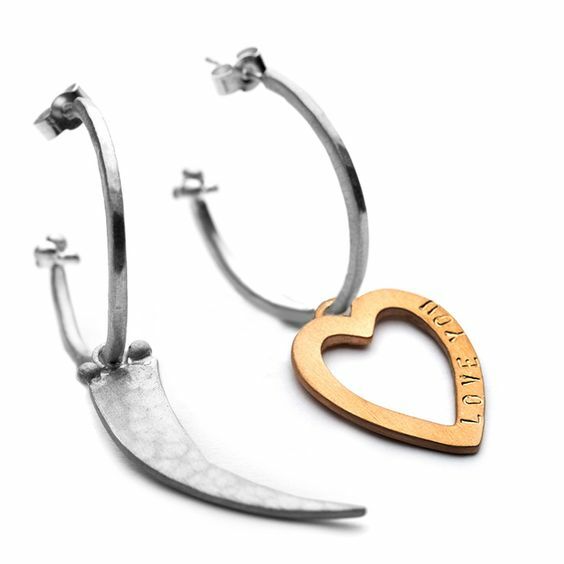 My other well worn favourites are from Bella Jane Jewellery and there's 10% off until Mother's Day with the code MUM54. There are lots and lots of options and you can pick your own stack. Or you can buy a ready made one (making it easier for them...). 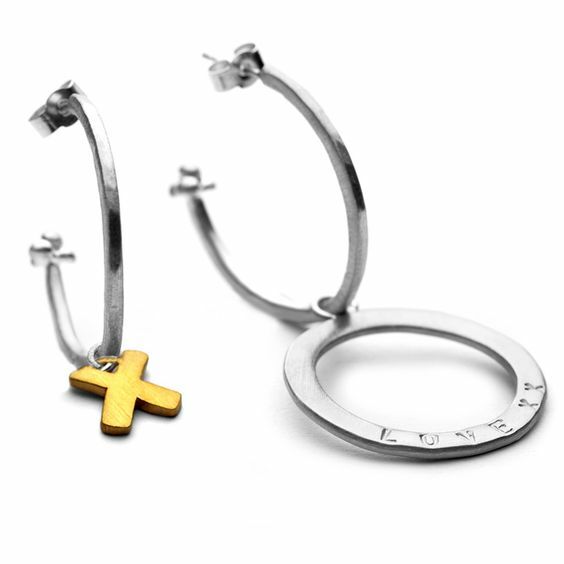 I think for Mother's Day though, my choice would a set of these with the initials of my small people (an army - a feral army that is) so H, M and A (we had to have three children otherwise with only two, we had H&M. Hmmmm). 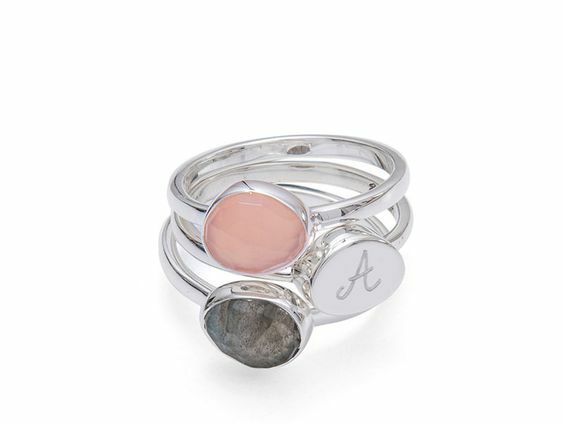 And lastly a new brand from whom I have received three bracelets (I have mine with my children's names on) and love. They are very lightweight but ridiculously sturdy. I was worried that they may dent quite easily but not at all and I am very heavy handed (I wear these all day and have done for a while). If it's not a bracelet that you're after, have a look at the Duchess Necklace as worn by The Duchess herself after the birth of Prince George. Gorgeous. 15% off with the code kat15 until March 26th. And here is a pretty good shot of me today wearing all the jewellery. This was on a shoot with Lily & Lionel for their new Spring range. So after a whole day of meetings in London, the usual evening of chaos with the children, I am off super early doors tomorrow to Cheltenham. Off to sort the outfit. Suffice to say all the jackets I ordered were a BIG FAT FAIL (I will report back on the velvet one as it's actually rather lovely but just not on me. Ugh) but I did have success today, scouring the high street. I will report back. (I had actually seen it online and discounted it but it did look loads better in the flesh. Obviously I haven't tried it on with the dress which is clearly a recipe for disaster. I must do that.. "she says trying not to close her eyes in exhaustion"!). If you get the letter bracelets, just make sure you wear them in the right order - otherwise people will think you really really like ham! Oh dear god. And before anyone mentions it, I am NOT having a 4th!!!!! Lovely jewellery and I love that Lily & Lionel dress on you. Have a great day at Cheltenham - I'll be watching from home this year but I'm jealous that you will be in the presence of the mighty Douvan (3.30 race - Queen Mother Champion Chase). He's not a betting prospect as he'll be very short odds, but he is an amazing horse. I'm not sure they won...! Had a great great day thanks - ridiculously lucky with the weather! I love my Bella Jane silver bracelet stack (and get compliments on it all the time). Been thinking of adding a gold stack so the discount code is super handy. Thank you!!! That would work so so well! 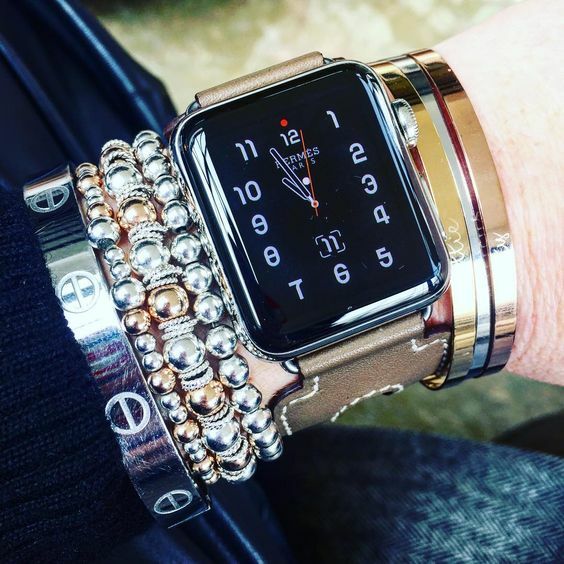 I have always loved to layer bracelets with my watch. Childrens intials mean alot to me too! 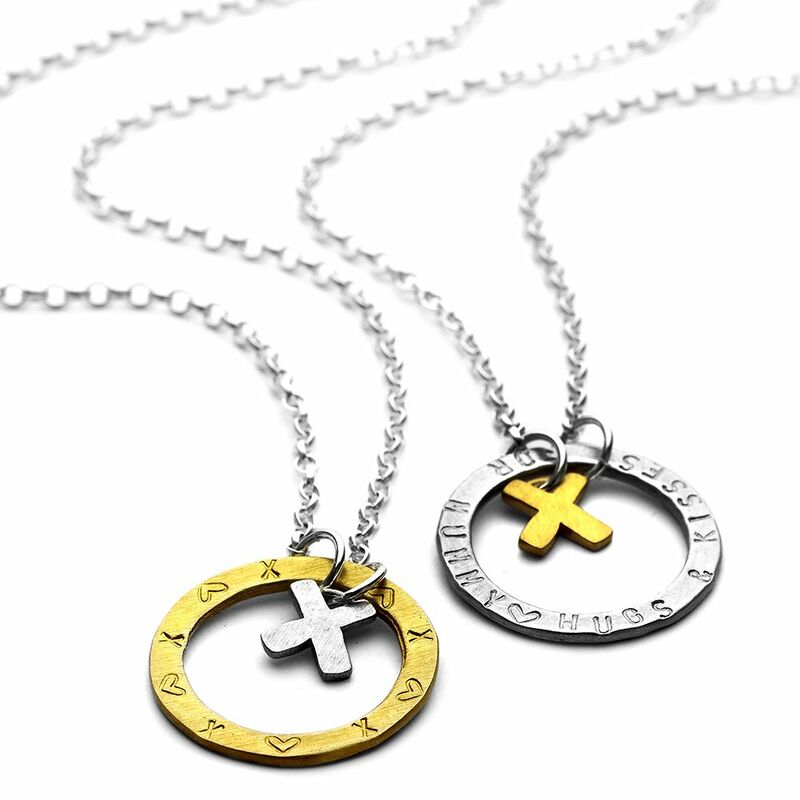 I wear a necklace with my childrens initials and someone teased that motherhood must be EZ as my childrens names imply! Yeah right.. easiest job in the world no?! Never mind the jacket, the bag, the bracelets; is that an Hermes watch? Divine. xd. PS Not sure that being a 'budgie mama' is going to cut it gift-wise in my household. Thanks for sharing the image its an lovely image of Personalised Hug & Kiss Necklace . Keep sharing.